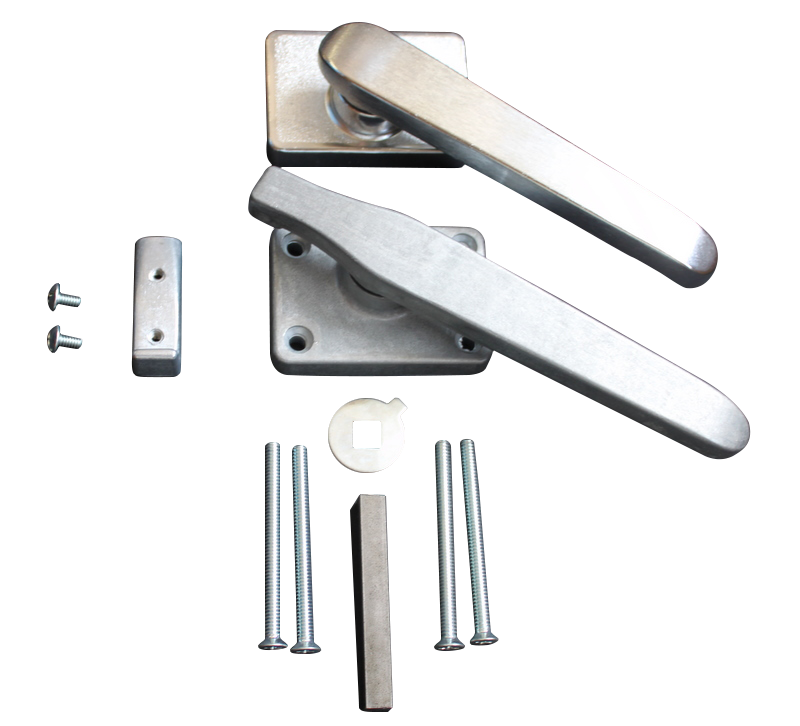 These diecast handle sets ( AD 013 or AD 014 ) suit either a 25 or 50 mm thick door respectively and are standard with the outside handle only, chrome plated, but can be ordered with both outside and inside handles chrome plated at additional cost. The handle set comprises all screws, shafts and the striker. 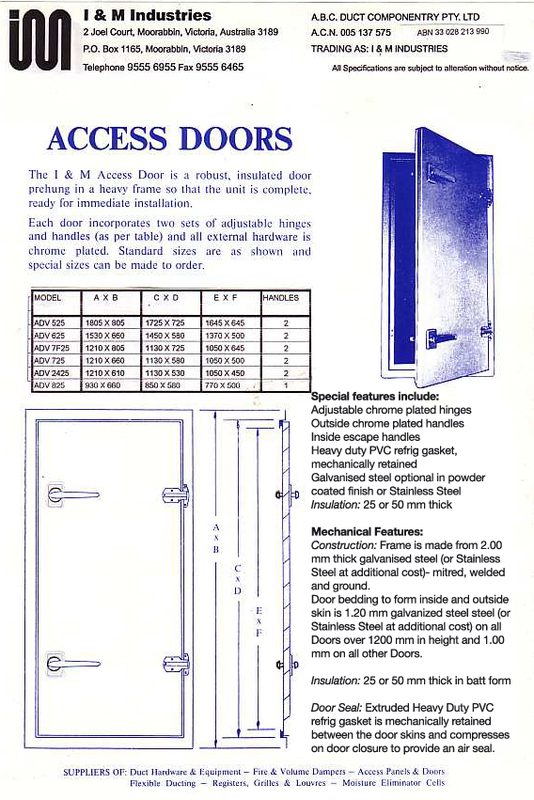 The indoor handle allows personnel exit, hence complying with OH&S requirements.